Founded in 2013, Perimeter Medical Imaging is a privately held medical device company headquartered in Toronto, ON. Our executive team of medical device leaders holds an excellent track record of successfully building companies and improving outcomes for clinicians and patients. We are passionate about providing real time information that will allow clinicians to dramatically improve care while reducing healthcare costs. Perimeter develops, patents, and commercializes advanced in-procedural medical imaging tools. The OTIS™ platform provides a crucial additional dataset to the clinician to facilitate more informed decision making that could help reduce over-sampling, lower the incidence of repeat procedures, and potentially even lower mortality rates. Perimeter’s OTIS (Optical Tissue Imaging System) has been designed to provide clinicians with real-time, ultra-high resolution, sub-surface image volumes across the surface of an excised tissue specimen. By providing the ability to assess microscopic tissue structures available during the clinical procedure, clinicians finally have access to information that can allow for better decisions during the procedure. This has the potential to result in better long term outcomes for patients and lower costs to the healthcare system. Mr. Weber brings extensive marketing, commercialization and international business development experience with both large multinational and growth stage medical and technology companies. Prior to joining Perimeter Medical, he led Business Development and Marketing for Covalon Technologies. In this capacity he helped to transition the company from a technology focus to a commercially focused organization, building out OEM, domestic and international distribution channels. At Sentinelle he led Business Development and Marketing, growing the company from start-up revenues to greater than $18 million in sales in 2 ½ years. After being acquired by Hologic Inc. for $105 million, Mr. Weber led Marketing, integration, and OEM and International Distribution relationships. Mr. Weber has also had leadership roles in business development and product management capacities with Johnson and Johnson, Christie Digital and has consulted for numerous technology start-ups on growth strategies. 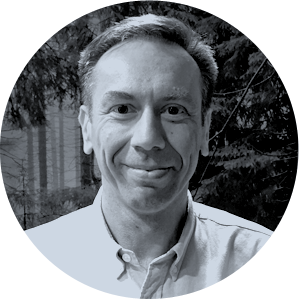 He has developed and taught MBA courses in Marketing and Commercialization of Technology and holds a BA in Psychology and an MBA from Wilfrid Laurier University. Mr. Chernicoff brings to Perimeter 20+ years of business, capital markets and deal experience. Rich began his career as an accountant in the Los Angeles office of Ernst & Young. Rich served on the staff of the U.S. Securities and Exchange Commission in Washington DC. Following his government service, Rich practiced law at Skadden, Arps and Brobeck, Phleger & Harrison, where he focused on life sciences and high technology companies. Rich ran corporate development at SanDisk for six years. Rich has served on the board of directors of a number of public and venture-backed companies. Most recently, Rich acted as interim-CEO of Great Elm Capital Group as it transitioned from an intellectual property firm to a diversified holding company. Mr. Berkeley brings over 15 years of experience in the optical and medical imaging space. He has held technical and leadership roles at multiple start-up companies with responsibilities in market development, new product introduction, product development and service, and business development. Andrew holds a degree in Electronic Engineering from the Institute of Technology Tallaght and a Masters in Optical Electronic Engineering from the University of Hull. Ms. Munro is an experienced project manager and biomedical engineer with over ten years of experience in the startup and technology innovation space. She brings hands-on experience with development of multiple novel optical imaging modalities and has a track record of effectively driving aggressive product development timelines. Elizabeth holds a B.Sc. (Hons) in Physics from McGill University and an M.A.Sc. in Biomedical Engineering from the University of Toronto. Mr. Gazdzinski brings over 14 years of progressive experience in medical device engineering and development. He has worked in technical and leadership roles in which ground-up technology innovation was hardened into product suitable for manufacturing and subsequently launched commercially with success. Carl has a proven track record of contributing to and leading dynamic teams that execute on deliverables and build value. He provides experience spanning both start-up and established OEM environments, including team leadership through merger and acquisition. Carl holds a B.Sc. in Biology, B.Eng. in Mechanical Engineering and an M.Sc. in Medical Biophysics (all from the University of Western Ontario). Ms. Danner brings over ten years of experience in the medical device industry including start-ups in diagnostic imaging, and most recently managed the clinical applications MRI program at Hologic (former Sentinelle Medical division). She has been focused on developing clinical training programs and involved with product development, including personally impacting product and process design enhancements. She has been a key driver behind the ramp up and management of a Canadian and US based customer facing clinical applications team, has managed relationships with OEMs specifically in cross training collaborations, and has provided leadership through company acquisitions. Christine holds a B.A. (Hons) from the University of Western Ontario and a M.A. from York University. Ms. Keen is a product development and clinical trials leader with a proven track record in the healthcare capital equipment industry, with over 25 years of experience specializing in women’s health imaging. She has a strong background in big company culture as well as proven success in small growth companies. She specializes in developing advanced imaging technology in growing markets. She has managed product development and clinical trials in the U.S. and international markets. Most recently she managed product development and clinical trials for Gamma Medica, Inc. Rochelle holds a degree in Radiologic Technology from the University of Maryland Medical Center, Baltimore, MD. Mr. Rempel has seven years of experience in diagnostic imaging including technical and research roles in three startups. His expertise is centered on medical imaging techniques with an emphasis on image analysis, novel imaging device development, and radiation dose delivery assessment. David holds a B.Sc. in Physics and an M.Sc. in Medical Physics (both from McGill University). Vladimir Pekar received a Diploma in Computer Science from Taganrog Radio Engineering Institute (Taganrog, Russia) and a PhD degree in Computer Science from the University of Hamburg, Germany. He started his career as a post-doctoral researcher at Philips Research Laboratories in Hamburg working in a collaborative project between Philips and the University of Lübeck. Subsequently, Vladimir joined Philips Research as a permanent research scientist and was later promoted to a Senior Scientist. He moved to Canada to work in a joint project with the University Health Network, Toronto, ON, pursuing research on radiation therapy planning, and after its successful termination became Research Program Manager at Philips Canada and later on Reginal Head of Philips’ Clinical Research Board, where he managed academic research collaborations across Canada.